After you have contacted us and we have agreed on the itinerary and cost of your trip, tour or holiday, we will send you a booking confirmation and a payment request for a 30% non-refundable deposit. We ask you at this time to book your flights to guarantee and confirm the trip. The remaining 70% will be payable 28 days prior to arrival but may be paid upon arrival, depending on the nature of the Tour. If your trip falls within 28 days, the full amount is payable at the time of booking. If the balance of 70% is not received within the specified time-frame we reserve the right to cancel your booking and retain the initial 30% deposit. Moroccan Journeys (‘the Company’, “we”, “us” and “our”) accepts bookings subject to the following conditions. Except where expressly stated, these conditions only apply to tour arrangements booked by the client with the Company and which the Company agrees to make, provide or perform (as applicable) as part of their contract with the client. All references in these conditions to “tour”, “booking”, “contract” or “arrangements” mean such tour arrangements unless otherwise stated. Due to the outdoors nature of your trip, changes to the itinerary may be necessary (for example; adverse weather or unsafe roads). We will let you know as soon as any changes may be needed to ensure your safety and in consultation with you, arrange a new itinerary within the same booking timeframe. The Company reserves the right to cancel a tour in any circumstances but will not cancel a tour less than 6 weeks before the start of the tour except for force majeure or the client’s failure to make all payments (including the final balance and any surcharge) when due. Bookings are accepted on the understanding that clients appreciate and accept the possible risks inherent in adventure travel and that they undertake the tours, treks or expeditions featured in our program at their own volition. (1) We promise to make sure that the tour arrangements we have agreed to make, perform or provide, as applicable, as part of our contract with you are made, performed or provided with reasonable skill and care. the act(s) and/or omission(s) of the client(s) affected or any member(s) of their party or the act(s) and/or omission(s) of a third party not connected with the provision of your tour and which were unforeseeable or unavoidable or due to ‘force majeure’. (3) Please note, we cannot accept responsibility for any services which do not form part of our contract. This includes, for example, any additional services or facilities which any supplier agrees to provide for you where the services or facilities are not advertised by us and we have not agreed to arrange them as part of our contract. Any optional excursions or activities booked during your holiday do not form part of our contract as these are all arranged for you directly by the suppliers concerned. (4) The promises we make to you about the services we have agreed to provide or arrange as part of our contract – and the laws and regulations of the country in which your claim or complaint occurred – will be used as the basis for deciding whether the services in question had been properly provided. Please bear in mind that standards of, for example, safety, hygiene, and quality may vary throughout the destinations, services and transport your tour involves and may be lower than or different to those applicable in the UK. If the particular services which gave rise to the claim or complaint complied with the local laws and regulations applicable to those services at the time, the services will be treated as having been properly provided. The information contained on our website and in our other advertising material is believed correct to the best of our knowledge at the time of printing or publication. However, errors may occasionally occur, especially with regards to exchange rates and information may subsequently change. You must therefore ensure you check all details of your chosen tour (including the price) with us at the time of booking. For the purposes of the Data Protection Act 1998, we, Moroccan Journeys Limited, are a data controller. In order to process your booking, provide your tour and to help us give you a more personal service, we need to collect certain personal details from you. These details will include, where applicable, the names and contact details of party members, credit or debit card or other payment details and special requirements such as those relating to any disability or medical condition which may affect the chosen tour arrangements and any dietary restrictions which may disclose your religious beliefs. We need to pass on your personal details to the companies and organisations who need to know them so that your tour can be provided (for example your hotel, other supplier, credit/debit card company or bank). We would also like to store and use your personal details for future marketing purposes. All details you give us in connection with your booking (including those relating to any disability or medical condition or your religious beliefs) will be kept but we will use only names and contact details for marketing purposes (unless you have indicated that you do not wish us to do so. We respect your privacy and do not sell, rent, trade or give away any of your personal information for any purpose. a) they have read and accepted our booking conditions and general information pages on our website. c) they do not suffer from any pre-existing medical condition or disability which may prevent them from actively participating in the tour – if any person suffers from any medical condition or disability which will or may affect their tour arrangements, please contact us before making your booking. A booking is accepted and becomes definite only from the date when the Company issues a Booking & Payment Request to the client who makes the booking. It is at this point that a contract between the Company and the client comes into existence. The balance of all monies due, including any surcharges applicable at that time, must be received by the Company not later than 30 days before the start of your tour. For certain tours, full payment must be received at an earlier stage before the start of your tour. You will be advised at the time of booking when this is the case. In the case of non-payment of the balance by the due date, the Company reserves the right to treat your booking as cancelled and cancellation charges will apply. Payment for both deposit and balance of fees can be made by bank transfer, Paypal or credit card. Payment by credit card incurs a 2% charge. Should the client wish to cancel, cancellation charges will be imposed. These are calculated from the day written or verbal notification is received by the Company as a percentage of the total tour price per person cancelling, excluding any amendment charges. The cancellation charges shown below are those which will apply to most tours. However, some suppliers have conditions which require the payment of higher or different charges (including the imposition of 100% cancellation charges well in advance of the normal balance due date) which you will have to pay in the event of cancellation. You will be advised at the time of booking if this is the case for your tour. Should the client have a complaint about any of their tour arrangements, the client must tell both the relevant supplier and the Company’s representative at the time. It is only if the Company and the relevant supplier know about problems that there will be the opportunity to put things right. Failure to complain on the spot may result in the client’s ability to claim compensation, if applicable, from the Company being extinguished or at least reduced. If the client’s complaint cannot be resolved on tour they should notify the Company in writing within 28 days of their return from tour. Clients are responsible for arranging, and must be in possession of, a valid, acceptable passport and any visas and vaccination certificates required for the whole of their journey and tour. Travel Insurance is mandatory for all clients whilst on a tour organised by the Company. Clients together with their personal property including baggage are at all times solely at their own risk. Clients are wholly responsible for arranging their own insurance and are responsible for ensuring that they have personal travel insurance with protection for the full duration of the tour in respect of at least medical expenses, injury, death, repatriation, cancellation and curtailment, with adequate and appropriate cover. Clients should ensure that there are no exclusion clauses limiting or excluding protection for the type of activities included in their tour. Clients should satisfy themselves that all travel insurance purchased meets their particular requirements and should arrange supplementary insurance if need be. 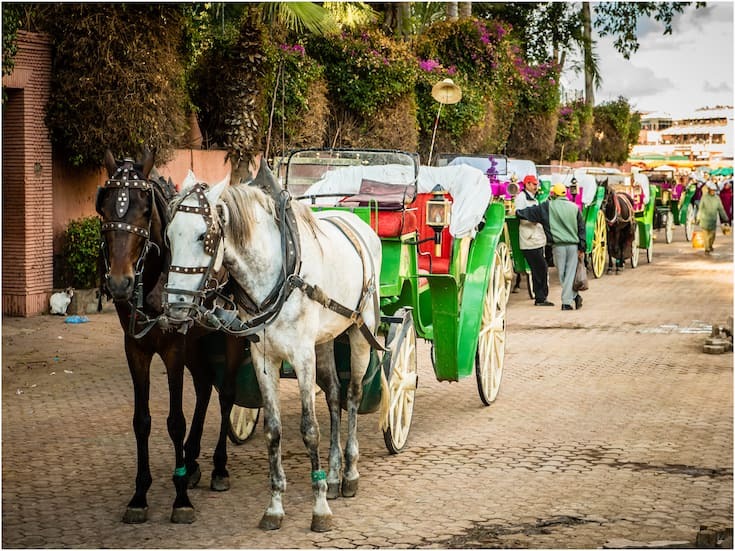 As a member of the Travel Trust Association, Moroccan Journeys meets the requirements of the Package Travel, Package Holidays and Package Tours Regulations 1992. In the event of Moroccan Journey’s insolvency, protection is provided for non-flight packages commencing in and returning to the UK and other non-flight packages excluding pre-arranged travel to and from your destination. 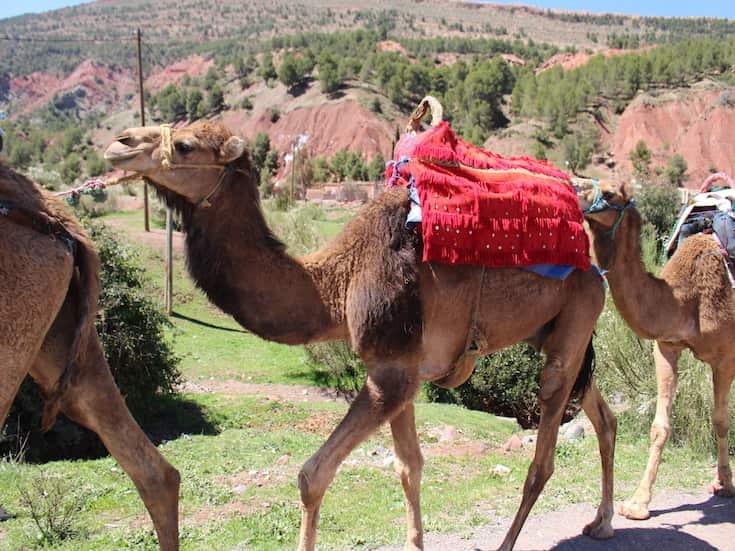 Please note that packages booked outside the UK are only protected when purchased directly with Moroccan Journeys Limited. Clients agree to accept the authority and decisions of the Company’s employees, tour leaders, fixers, agents and guides whilst on tour with the Company. If in the opinion of any such person(s) or any other person in a position of authority (such as, for example, a driver or hotel manager), the health, level of fitness or conduct of a client at any time before or during a tour is endangering or appears likely to endanger the health or wellbeing of the client or any third party (including any other clients of the Company) or the safe, comfortable or happy progress of the tour, the client may be excluded from all or part of the tour without refund or recompense. Where a client is excluded, the Company will have no further responsibility towards them (including any return travel arrangements) and we will not meet any expenses or costs incurred as a result of the exclusion. In the case of ill health, the Company may make such arrangements as it sees fit and recover the costs thereof from the client. If a client commits an illegal act (including, for example, causing any damage) the client may be excluded from the tour and the Company shall cease to have responsibility to/for them as above. No refund will be given for any unused services.